Localisez le distributeur qui répondra le mieux à vos besoins. Xerox SMARTdocument Travel is document scanning software for organisations with paper-intensive processes. This Xerox workflow solution automates and simplifies document capture, processing and routing of information. 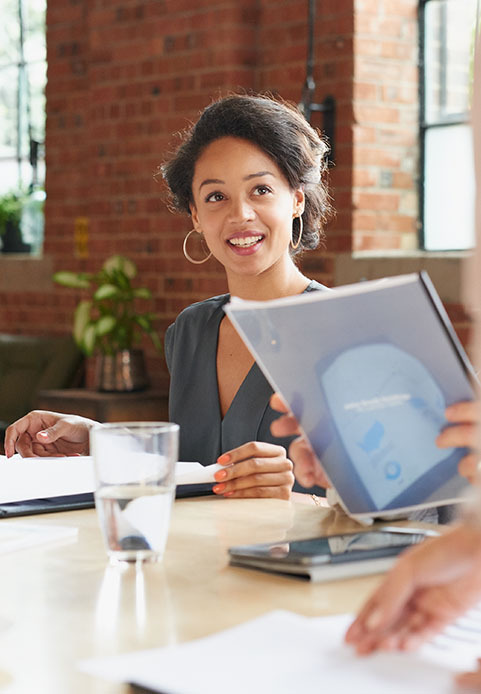 With Xerox SMARTdocument Travel, you can easily create document workflows and then scan the documents from your multifunction printer or TWAIN scanner. If you use Google Apps, you can now upload, share and search your physical documents on Google Docs by scanning and uploading them from your multifunction device. Connect people to the information and tools they need to work faster and more effectively. Scan and send documents to email and fax servers, secure FTP sites, network folders, databases and more. Scan, index and send documents to various document management systems (Xerox DocuShare®, SharePoint, Interwoven, Documentum, etc.). Control costs, information access and the environmental impact of your organisation. For security, authenticate users at the multifunction printer panel before allowing access to workflows. Track and send a notification email to the required person after a document is saved to a destination. Reduce the time and labor required to process and archive documents. Enable new ways of working that streamline and accelerate business cycles and give you a competitive advantage. Dynamically browse shared folders or document management containers directly from the panel of an EIP-enabled Xerox device. Device integration - compatible with industry-leading capture devices, sources, process applications, and document management solutions. Scan, apply keywords and securely store paper documents into Google Docs with the push of a button on your SMARTdocument Travel-enabled digital copier or multifunction printer. The most common problems associated with information-intensive industries are costs and inefficiencies. Operating costs due to fax, mail, courier, physical storage, data entry, etc. Touch the future today with Xerox SMARTdocument Travel. Xerox's commitment to meeting and exceeding customers' document-related challenges has never been more evident. With the latest in business automation technology, Xerox simplifies your everyday business processes. Unlike competitive products, Xerox SMARTdocument Travel works with scan-enabled multifunction printers from Xerox AND other manufacturers. Enhance functionality of a scan-enabled Xerox multifunction printer. Enable one-touch scanning into document management systems such as Xerox DocuShare®, MS SharePoint and Interwoven. Browse, scan and index into shared folders and document management containers directly from your EIP- enabled device. Create custom modules in Java or VB scripts with a scalable solution and open platform.